I am pondering if it says something about the English that despite the richness of our vocabulary which allows us to draw shades of distinction unavailable to non-english speakers, I can find only a couple of words to express thank you. (For the record Eskimos have 50 words for types of snow and Italians have over 500 names for different types of mararoni!). And right now that doesn’t seem in any way enough for me to express my gratitude. My amazing Mum and Dad for being so resilient, strong, selfless and loving; for being there literally 24 hours a day; for keeping me well mentally and physically and being 2nd mum and dad to Joe and Lois, not to mention all the help around the house and many things too countless to mention. Joseph and Lois for being the bravest and most thoughtful children ever. Tim, for his calmness and presence when I was at my most scared, for the non-stop thankless task of looking after me and refusing to let me do anything! And for putting up with my ever changing and demanding diet and still serving up nutritious meals daily. My brother David (and Lucie) –for being there from the very first second, sitting through all the consultations with me, for letting nothing be too much trouble, for endless love, energy, creativity, research and positive inspiration. BF Jenny for being there when I needed her most and also being there for my mum as well as my boy Joe, for her daily funny cards which made me laugh and cry and for keeping me going day after day with bonkers texts, messages and gifts. Pip for supporting Tim and me, plus keeping us laughing and Leanda, Matt and Ginny for their kind words. My cousins Becca and Sharon for being more like my sisters, my Aunties and Uncles and more cousins for keeping my sense of humour and showing me how important and amazing my family are. Adam and Holly, for stepping up their support and love for their bro and sis. My truly special and long suffering friends; Jo for taking me away from it all with endless cups of teas and support, for a memorable trip to Eastboune and for looking after Lois and Joe at the drop of a hat; Lauren for her incredible support for me, Joe and Lois, for her uplifting messages, photography, videos and fundraising; Julie for being there for me but even more importantly Lois without question without asking and just knowing what to do; Andy B for meditation, wisdom, selfless support and keeping me amused with never ending supply of stories and good jokes; Alex for protecting me from stress at work, for lovely cards and letters and for the weekly round-up of news; Alison for massive support, motivation and creative buzz; Tina for reminding me I am still normal! Di for laughs and setting up the bum bandits club and food, food, food and more delicious food! Mary Y for being the first person to get my head straight on cancer and fix my mental attitude; Jane for being there for me and Lois and becoming a good pal; Kathy for a shoulder when I needed or was scared; Liz M for taking my mind of it! Bex for the craziness. And for Nick, Bruce, Nicole and Glen, Ronnie, Claire S, Tracey OB, Aileen and Burger Joe for just being wonderful and keeping my spirits up. My colleagues who have become dear friends for their genuine support and kindess: Elice, Wendy, Simon C, Sally W, Sarah, David W, John P, John B, Siobhan, Chris S, Leah, Sona, Shelley, Anna, Liz, Dave C, Mark S, Simon A & Rachel and Cathy & Diane. To Mindy and her mum for reassuring me when I get the wierd side effects and courage when I needed it. And Beating Bowel Cancer for their forums and community support, Tom Van Kaenel for his support for Bananagiraffes and BBC and Mary Holloway (volunteer) for her weekly Reiki sessions. I feel pretty humble and blessed looking at that list and just terribly sad for people going through this on their own, spare a thought or better still a visit for them this new year! I opened my big mouth too soon! My little big girl has been in hospital all day having checks for appendicitis, on New Year’s eve, probably the worst day to get any sense of out hospitals. Still waiting on definite diagnosis if we ever get one, but it’s looking like a grumbling appendix as her CRP inflammation levels are up. 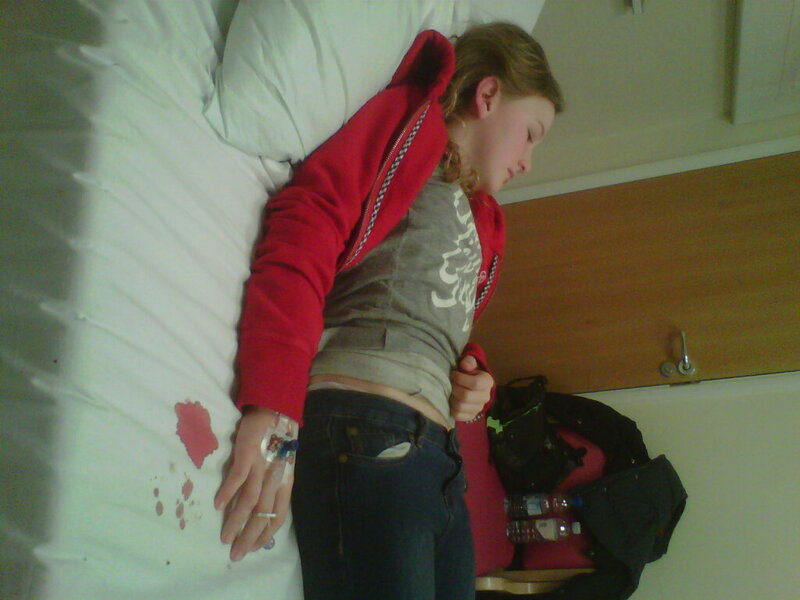 She has been so brave, I am hoping it will cure her fear of needles although from this picture it doesn’t look likely. Poor Lois was due to go to the Pantomine today with Lovely Livvy and family and then to a party at Lauren’s tonight, she must be thoroughly fed up as it’s looking likely that she be kept in tonight. Luckily my Mum and Dad are with her as I am banned from the hospital until my blood count goes up. 2011 you are officially the worst year ever. Now go on, get lost! 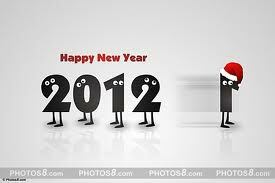 Last days of 2011, still time to pack in at least one more major event surely? Samoa have got the right idea and jumped forward in time, erasing today and so are now enjoying New Year’s eve as I write. But for the rest of us, we have at least another day and a bit before we can kick 2011 into touch and surely by current standards this gives us enough time to squeeze in another major catastrophe or to topple a world leader? 2011 has been so packed to the rim with fast moving events that we must have used up all the big stories for some time and can all hopefully pray for a more positive and peaceful breather in 2012. I am sure I am not the only one who sees 2011 as a year of fear, and I was lucky enough to miss a great chunk of it by turning off the news for at least 3 months whilst dealing with my own major event! So much has happened it is impossible or unwise to remember it all. And as I successfully managed to avoid some of the worse incidents, I have decided not to read the annual round up across the media as I don’t want to accidently stumble across something I had missed and have to squeeze in all that worry into a few hours or risk it leaking into a brand new shiny 2012. On my own micro level, I would like to re-write 2011 as a year when I learned the power of love, extreme kindness, and generosity and so I am going to greet the new year with a cheery smile and a plan to be 100% healthier, 50% tidier, 25% slower and 25% more tolerant, ‘cos 2012 is not going anywhere till at least 2013 and that’s a very long time away. Chemo round 3 – NOT! Those of you who know me will nod enthusiastically when I say I have a lifelong obsession with arriving anywhere late. But even I was disappointed with myself when I was sent home again today from the chemo ward and told to return next week when my white blood cells are up to the job in hand! Yes, I am afraid I am neutropenic again. It’s becoming such as regular event that I don’t even need to check the spelling. See, another unexpected benefit, new vocabulary to help me win at scrabble! It would be charitable to say it didn’t hurt too much when the deputy vampires tried 3 times unsuccessfully to get blood out of my portacath this morning when doing the normal checks to my blood levels prior to starting chemo (sadly my favourite vampire, Dr Needles is having a nice long lie in until the 3rd Jan). But after an hour or so plugged into the saline drip, the results came back with red ink all over them and a note to try harder and I was hurried out of my chair before the stampede of patients could take part in what has become a regular game of musical chairs. There is evidence mounting to suggest that my neutrophils (these are the white blood cells that foreign bodies usually run into first) are pacifists and are no more interested in fighting these cancer cells than I am in going to the Boxing Day sales and would rather sit on the sofa with a nice cup of tea. So in addition to the bone marrow injections I now enjoy to encourage activity, I can add selenium and resbid tablets, 2 cups of green tea a day, a partridge in a pear tree plus a diet so high in protein that I expect to get automatic membership to the WBF shortly! But looking for positives, I have a week off to spend with the kids before they go back to School feeling relatively normal. Then I need a serious word with my oncologist to decide on the path of lesser risk; delaying each cycle for another week or reducing this early on to chemo for cowards? I think even he will relent from his usual “see how it goes” response and dream up some new delicious sounding chemicals to test drive, and I would have to be an idiot to refuse an offer like that wouldn’t I? This all leaves me a week to concentrate on starting my challenge number 2, putting bowel cancer on the map by applying for planning permission for an enormous giraffe sticking out of my roof. If anyone has any ideas or drawings to submit, please send them to Rachelbown12@gmail.com. 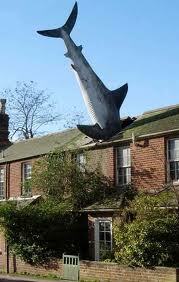 I only have the shark in oxford for inspiration so far! Sent by Alison, inflated by Tim. 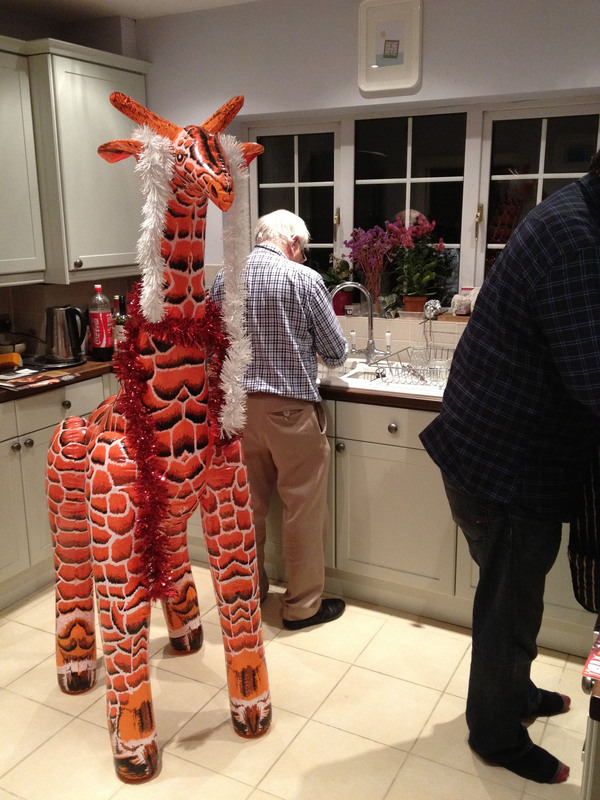 Gerald the 25psi giraffe is turning out to be an Indispensable help around the house; overseeing the cooking of the sprouts and helping Joseph with his AK47 manual. When bits of ‘non-me’ started growing out of control and needed removing, I had no idea this illness would lead me to a bunch of people whose daily motivation is truly beyond me. People who find reserves of kindness and generosity of time when everyone else is flying around at increasing speeds in preparation for the annual 24 hour shutdown. http://www.Hopefulnotes.org is a non profit local music society led by Tom Van Kaenel whose aim is to help and heal through music. 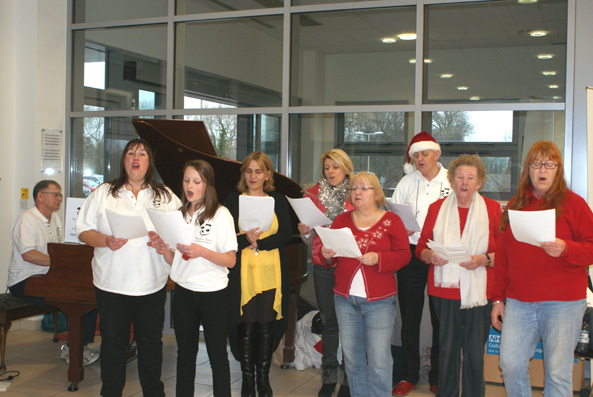 These hopeful noters and friends gave up every lunchtime this week to perform carols in The Churchill Hospital in aid of Beating Bowel Cancer. This is even more remarkable as I only had the pleasure of meeting Tom recently and I am sure these volunteers all had charities that were closer to their hearts. But their heartfelt singing not only gave a very necessary lift to the patients (one of them I remembered from my stay who unfortunately was still enjoying the Churchill’s hospitality), visitors and staff, but encouraged people to donate a massive £500.00 to Beating Bowel Cancer. I do find this amazing and I can only conclude that from my experience the more austere our circumstances and depressing the news is, the more this is countered and exceeded by the growing pool of kindness, positivity and generosity. Hopeful Notes singing this lunchtime with their honorary new member! 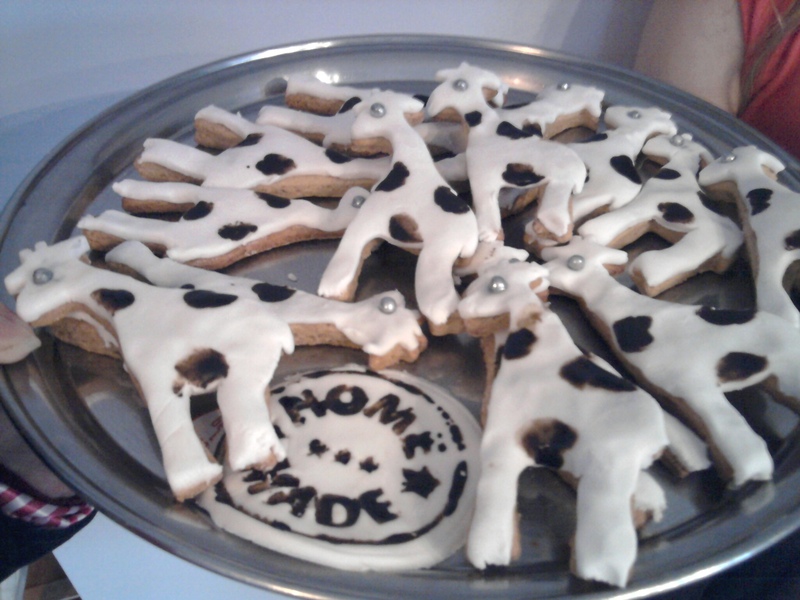 And to end 2011 on a positive (or hopeful!) 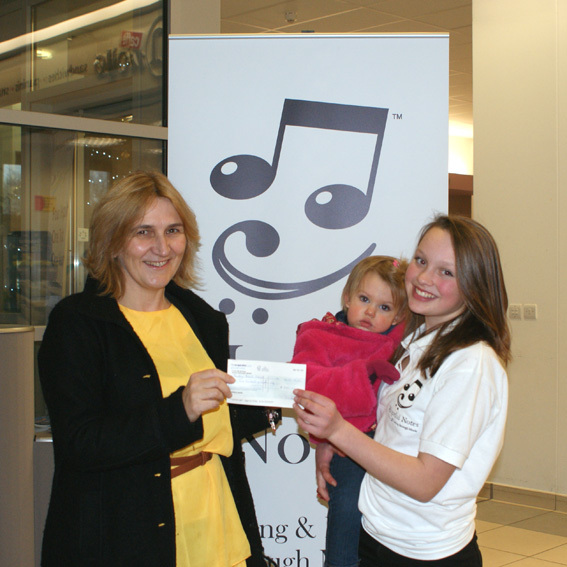 note, we also raised £200.00 from last Friday’s Bananagiraffes piano ‘concert’. 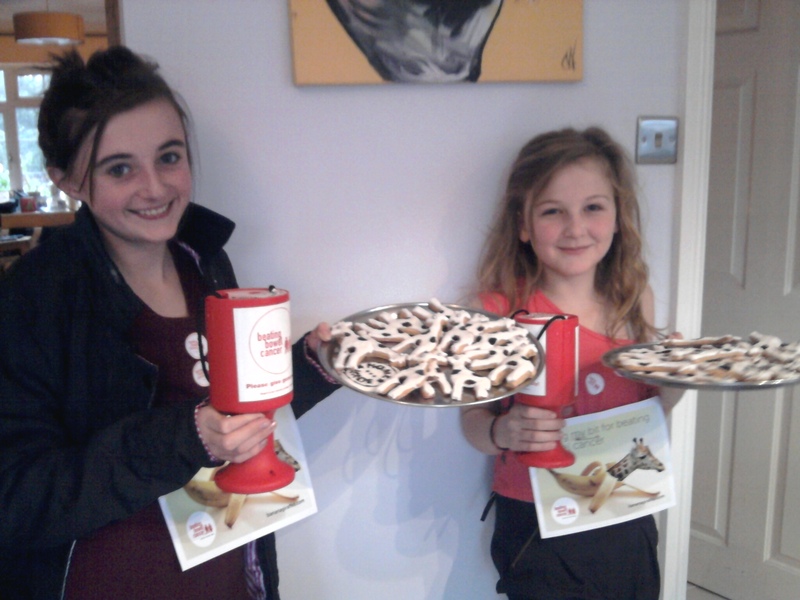 Massive thanks to all involved again and especially Lauren, Lois and Joseph for collecting on the day and afterwards around the village. 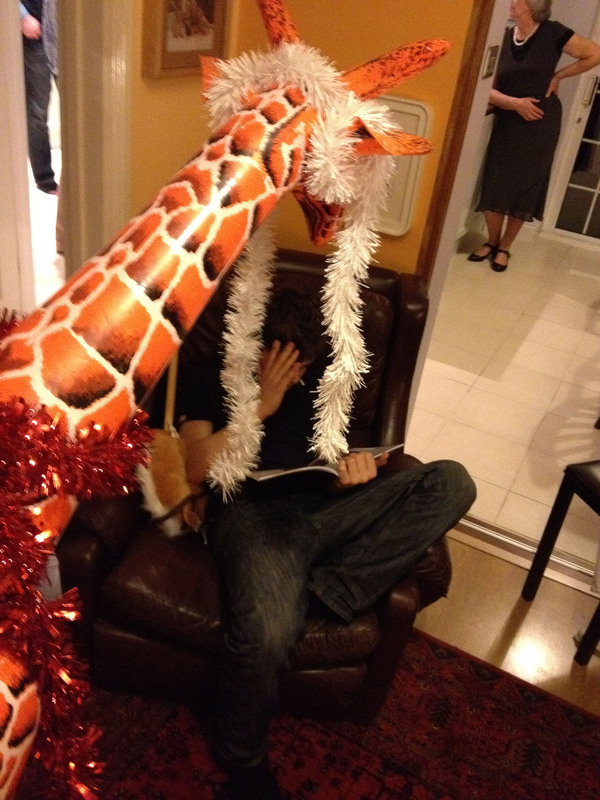 Geoffrey the ginger giraffe had a very shiny eye and…. if you ever saw him, all of them you would buy! Selling out like the latest trends.